​We are pleased to have you join our online community using the FORMED platform. Clicking the button below should take you to the FORMED webpage sponsored by St. Leo's Parish. 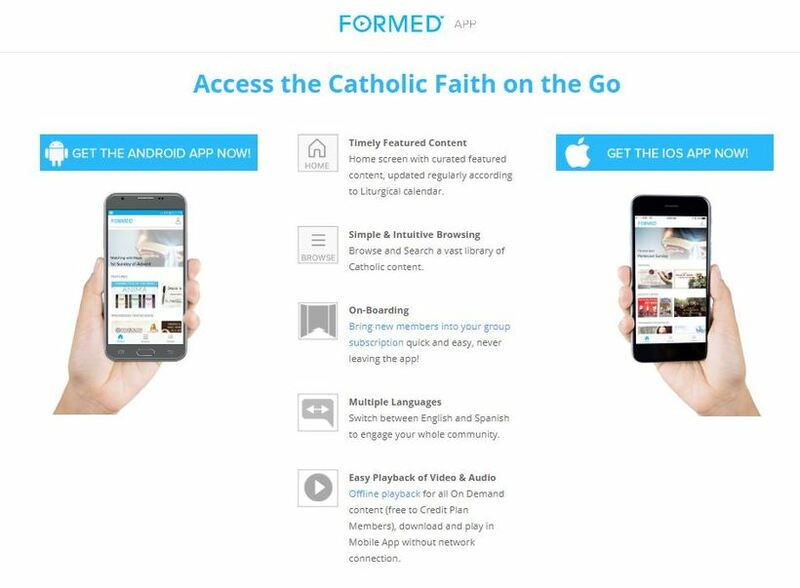 We're pleased to announce the availability of FORMED, an online service for accessing thousands of Catholic videos, audios and ebooks On Demand anytime, anywhere! As a member, you will have access to entertaining movies, inspiring audio talks, informative bible studies, and much more. We are providing this resource free of charge to help our members learn and grow in their faith. You will also be able to easily access any featured content the we are promoting within our community from time to time. So please join us. Also once you have signed up, don’t forget to download the free iOS or Android app to put FORMED at your fingertips. We hope you will enjoy this incredible gift and please spread the word to others. To sign up for FREE, just visit us here: https://saintleosgi.formed.org.